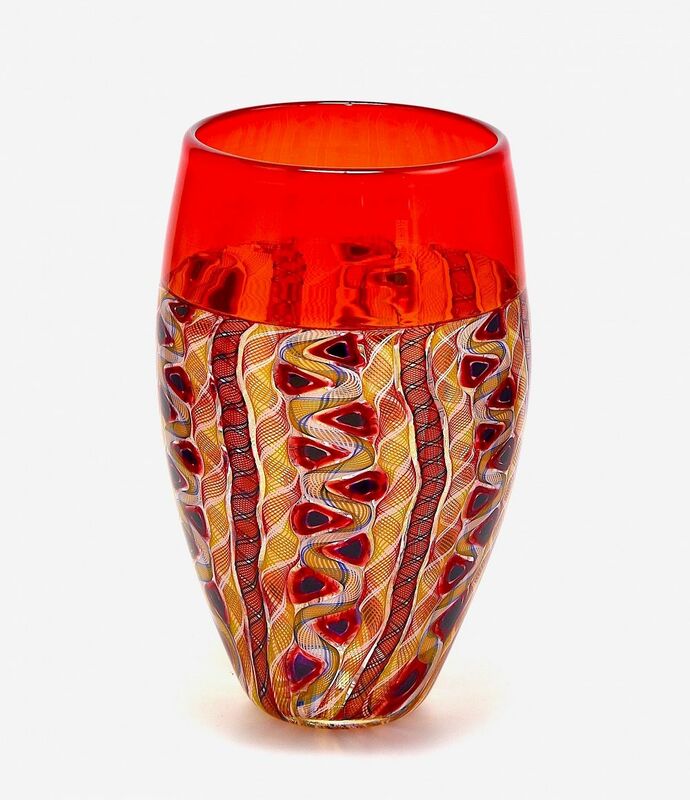 This luxurious vase was made by Michael Hunter for Twists Glass in 2016. Mike has named it "Jewel". The base is made of numerous zanfirico canes in red yellow blue orange black and white and is interspersed with murrine canes of red & purple arranged to imitate the pattern in a peacock's tail. It has a deep incalmo top in a rich orange. The underside of the base is scratch signed "M Hunter Twists 16 Jewel".